The Oak Knoll District of Napa Valley is similar in many ways to the Right Bank in Bordeaux in that it is the perfect growing region for Merlot and Cabernet Franc. 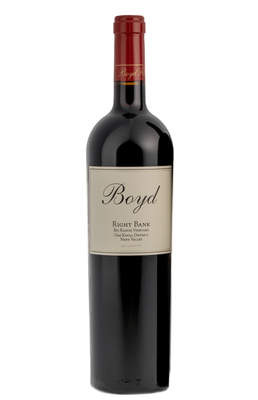 This wine is a 50/50 blend of our estate grown Cabernet Franc and Merlot that has been afed in French Oak barrels for 22 months. It is a very special wine with the spicy notes from the Merlot and the silky texture and blueberry notes from the Cabernet Franc.